Dr. Fixit Raincoat 2 in 1 is an elastomeric waterproof coating that provides a seamless and tough waterproof barrier with excellent crack bridging ability that can accommodate movements due to thermal variations in the waterproofing system. Dr. Fixit POLYPLUS CP is composed of high quality cement, properly selected & graded inert aggregates, proprietary waterproofing active chemicals & additives. It is used as a chemically active waterproofing treatment for concrete. Dr. Fixit POLYPLUS CP when mixed with water and applied as a brush coat to concrete, it penetrates deeply into the capillaries of the concrete & protects it against the permeability of water. 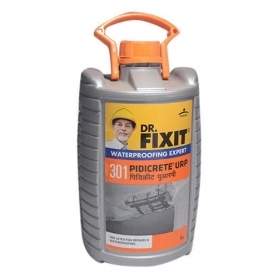 Dr. Fixit Pidiproof LW+ is specially formulated integral liquid waterproofing compound composed of surface active plasticising agents, polymers & additives. It is used as an additive for cement concrete, mortar & plasters. It makes concrete cohesive and prevents segregation. Dr. Fixit Pidifin 2K is a acrylic cementitious, polymer modified elastomeric, waterproofing & protective coating composed of best quality Portland cement, properly selected & graded aggregates, additives & acrylic emulsion polymer as a binder. 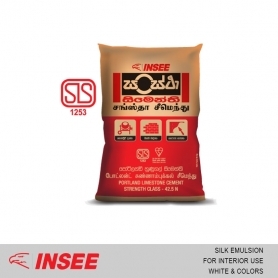 It is applied to waterproof and protect concrete and masonry substrates.